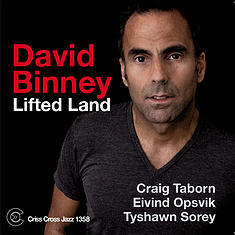 Lifted Land, David Binney's sixth recording for Criss Cross, is also his third wholly original program for the label (after Cities and Desire (Criss 1285 CD) and Barefooted Town (Criss 1335 CD)). 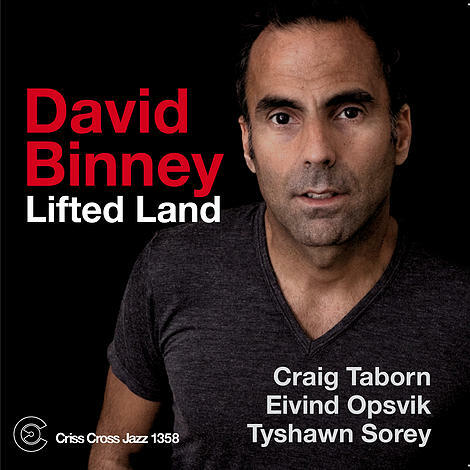 One of the most gripping and distinctive alto players and composers of his generation, Binney leads a powerfully expressive quartet with longtime allies Craig Taborn on piano and Eivind Opsvik on bass. Drummer Tyshawn Sorey, an acclaimed leader and composer in his own right, makes his first Criss Cross appearance here, in place of Binney´s go-to drummer for previous releases, Dan Weiss. Binney's tunes are anthemic, evocative, highly precise and finely crafted and yet prepared to venture into the freest abstract terrain. Highlights include the hopeful lyricism of The Road To Your House , the dynamic intensity of Curious About Texas , and the segues from structured themes to avant-gardish exploration on Losing The Central Valley, and the nearly 19 minute As Snow Before a Summer Sun . Always alert to his bandmates' every move, Binney offers one of the most ambitious and surprise-filled sessions of his career.